ecgDental+ is an comprehensive clinic management ERP for single or chain of clinic.It automates the complete workflow of patient treatments from registration to follow-up. The innovative, intuitive and multitasking features helps in improving the time spent with patients by reducing the time in documenting the visit. 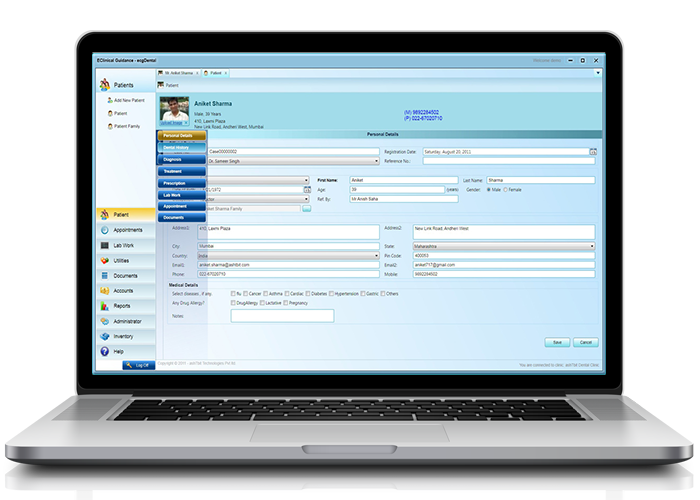 A comprehensive and user friendly clinic practice management software which automates all aspects of dental practice, including administration, record keeping as well as patient management.